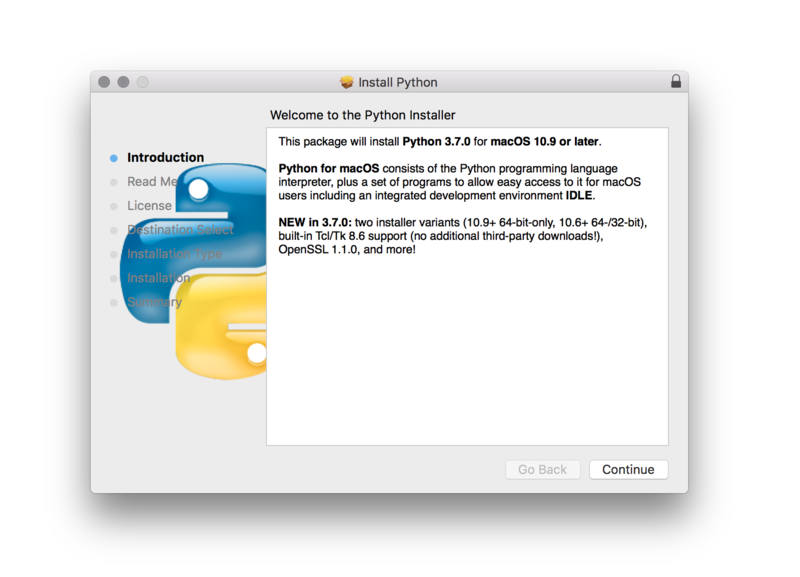 In this tutorial, I will show you how to install latest Python on Mac. Python 3.7.0 is the newest major release of the Python language, and it contains many new features and optimizations. Download the latest binary from the python official website using the following link. 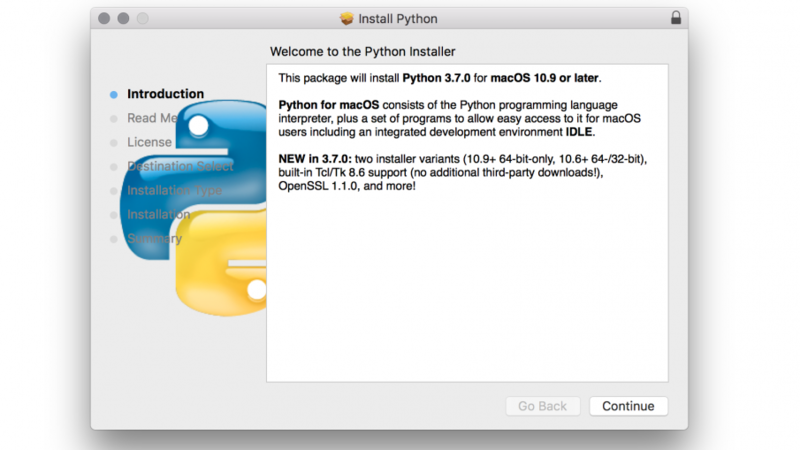 Now run the Python installer package and install Python. The preferred way of installing an updated version of Python is using Homebrew. Installing any packages with Homebrew is very easy. I mostly prefer Homebrew for installing most of the packages. If you have already installed older version then 3.7.0 you will get this error. You can run brew upgrade python to upgrade the python version to 3.7.0. If you have issues using this tutorial please feel free to comment below.